We carry a full line of elegant and stylish pet fashions At great prices! 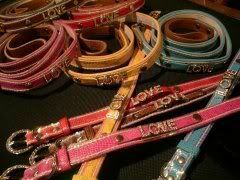 Our products include pet apparel, unique pet sweaters, collars and leash sets. 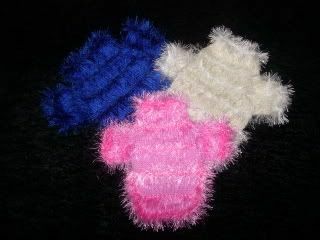 Pet carriers, Pet Jewelry, Beds, etc... all our dog clothes are made with the finest, extra strong cotton and wool threads. We also have our sweater collection, 100% wool or cottons all hand knitted & crochet, made with the finest threads. You will also love our high fashion pet carriers. CHECK OUT OUR BOUTIQUE FOR GREAT QUALITY DESIGNER FASHIONS! The Fuzzybutts Has a New Location, with a much larger selection and Handmade Bakery Treats! 7618 13th Avenue, Brooklyn N.Y., Come And Visit Us!!! Nieko, The King of The FuzzyButts! All Brooklyn Customers can continue to place your orders by phone #(347) 420-2826, with free delivery in our Brooklyn Area. Check Out Our FuzzyButts "Specials" For Great Deals!! Copyright 2006, TheFuzzyButts.com, All right reserved Store designed by Netwide Design, Corp.